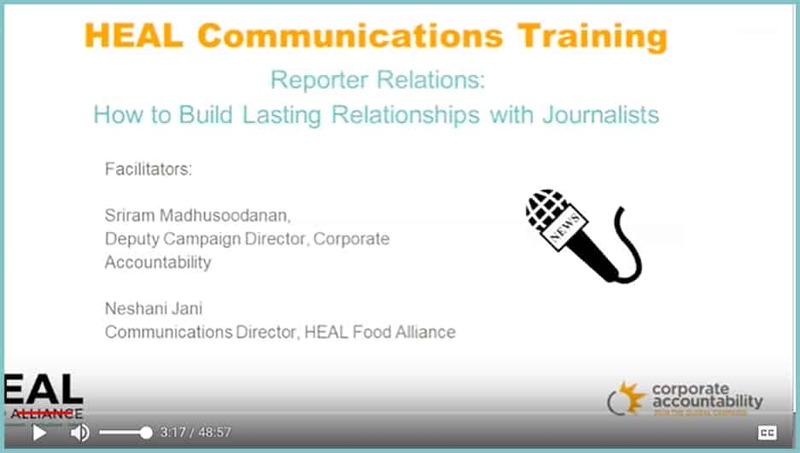 In this training led by Sriram Madhusoodanan, Deputy Campaign Director at Corporate Accountability, you'll learn how to: understand and engage reporters as an audience; research and find most relevant reporters to your issue; determine what reporters are looking for and craft an effective pitch; build genuine relationships with reporters from the first phone call all the way to in-person meetings, and MORE! 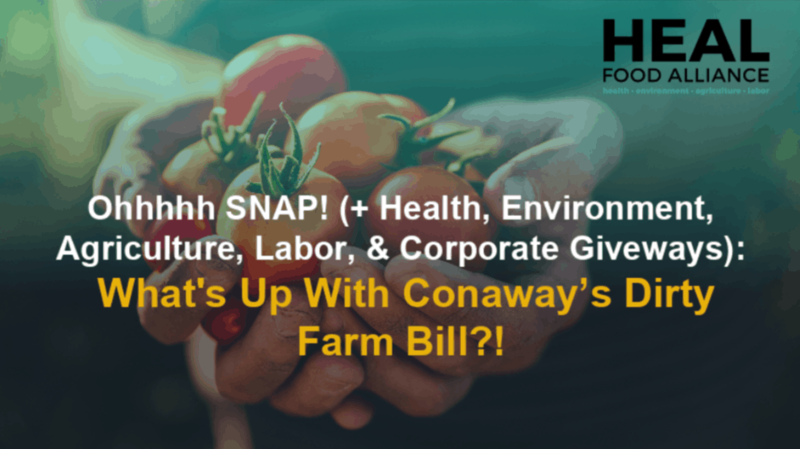 What's Up With Conaway's Dirty Farm Bill? The House Agriculture Committee released their version of the Farm Bill in April 2018. Renewed every five years, the Farm Bill shapes almost everything that has to do with what and how we eat - like crucial food assistance programs, farmers' access to credit and loans, the regulation of harmful pesticides and perks for large agriculture corporations. Featuring experts from the Union of Concerned Scientists, Land Stewardship Project, Rural Coalition, Pesticide Action Network, and Family Farm Action, our webinar covers threats in Conaway's Farm Bill to our health, environment, agriculture, labor, and communities. Tyson Foods controls a quarter of the meat market, and affects the lives of thousands of workers, farmers, and community members. 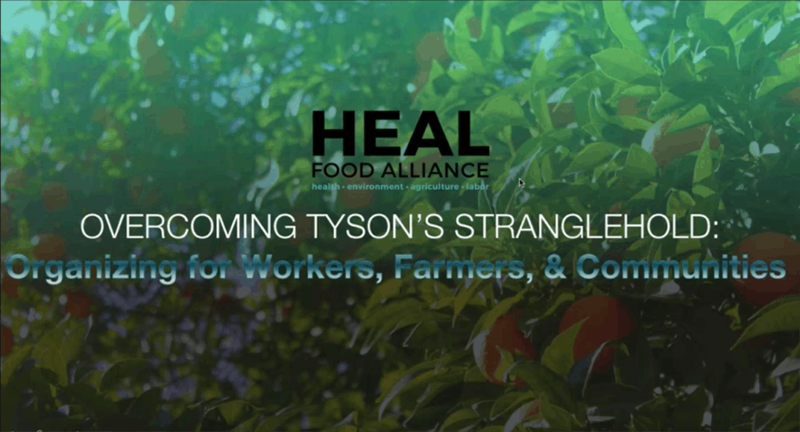 Hear from Magaly Licolli, Director of the Northwest Arkansas Worker Justice Center, and David Muraskin, Food Safety and Health Attorney with Public Justice, who are challenging Tyson on behalf of workers and farmers.